The Primary National Curriculum has changed and this includes how children in Key Stage 1 and Key Stage 2 will be assessed from 2016. 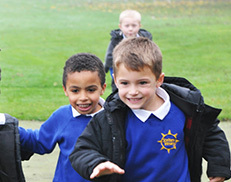 Early Years is not changing although a short baseline assessment will take place at the beginning of Reception. This will be completed by staff within the setting to find the individual child's starting point. The children will then be assessed and tracked throughout the year. Pupil outcomes will also be recorded in individual Learning Journeys which parents will also be invited to contribute to. Children will also continue to take the Phonics Screening Test at the end of Year 1 and if they don’t reach the pass mark they will be screened again towards the end of Year 2. The main change is that children will no longer be assessed against and given a National Curriculum level. Many parents will be familiar with the old level system that started at level 1 and went up to level 5/6 at primary school. Children achieving a level 2b or 2a (by the end of Year 2) and a level 4 or above (by the end of Year 6) were considered to be on track and making good progress. This levels system is being removed. Schools are now required to use their own on-going assessment systems to track the progress children in their school are making. 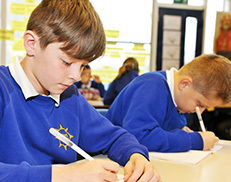 New assessments take into account the tougher, new National Curriculum. At Sprites we are working with our Reach2 family of schools to provide an alternative way of measuring pupils’ attainment and progress. The process is based on a set of targets, referred to as ‘non-negotiables’, which are linked to age related expectations. Staff will use an on-line tracking system to record what your child can do in line with the expectations from the New National Curriculum for their age group and target areas that they need to develop and improve. We then use the information on these sheets to track the children’s progress on a computer programme called O-Track. On-going teacher led assessments will continue. This is where the teacher sets up an activity or task for all the children to complete. Children complete the activity (which could be written or practical) and the teacher will decide on whether or not the learning objectives have been met. This kind of on-going assessment is vital at school, as it helps the teacher plan what each child needs to learn next. Children will be regularly assessed, throughout the year, by the teacher to ensure each child is making progress towards the end of year expectations. Progress will be tracked using our on-line tracking system – O-track. At the end of Year 2, children will be assessed using externally set tests, but will be marked internally by the teacher. This will be done for maths, reading and writing. There will also be an externally set Spelling, punctuation and grammar test, which will be part of the writing assessment. Children will be given a scaled score which will be out of 100, where 100 is the new standard for that stage. We will use O-Track to monitor the progress each child makes. This is based on the end of year expectations and if the child has met these. Teacher assessment will continue throughout the year, as this helps the teacher with future planning and to ensure each child is learning and making progress. Teacher assessment will continue throughout the year, this includes continually assessing writing. 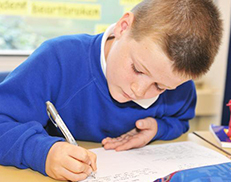 Children will also sit National Tests at the end of the year in maths, reading and grammar, spelling and punctuation. These will be externally set and externally marked. Children will be given a scaled score, which parents will be able to compare with the average for the school, the local area and nationally. The scaled score will be out of 100, where 100 is the new standard for that stage. If you have any further queries with regards to these changes please do not hesitate to speak to your child’s class teacher.